Our consultants have authored or contributed to a number of published articles and eBooks on healthcare IT, medical imaging and other topics. A list of samples is below. A talk by Don Dennison on Machine and Deep Learning, specifically as it relates to medical imaging (June 2016). 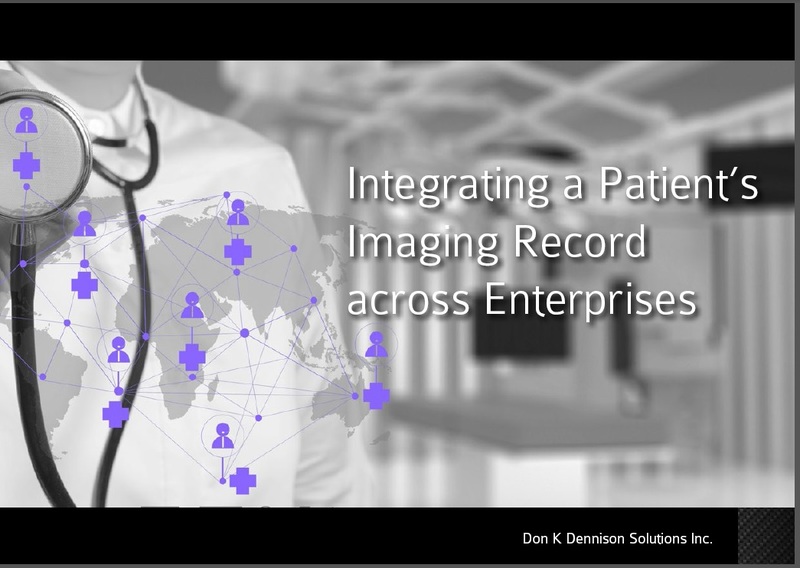 Presented at the ACR Imaging Informatics Summit in Oct-2014, this presentation explored methods of sharing across organizations and integrating imaging records within institutions, as well as options for bridging cloud-based image sharing networks. It included a primer on the new DICOMweb™ standards. Note: Available to SIIM members; requires log-in. Presented at the SIIM 2014 Annual Meeting in May-2014, this presentation, and those from the panel members, provides an in depth overview of the new DICOMweb™ and HL7 FHIR standards. Told from the year 2018, this article published in Journal of Digital Imaging, looks back at the market and technical forces that result in the deconstruction of PACS (and RIS) as we know it. Image Sharing: Is it Missing From Your Enterprise Imaging Strategy? Published in Journal of Digital Imaging, this article compares the pros and cons of building a healthcare IT application in an Established Vendor, a Start-up or a Hospital Lab environment, examining aspects such as access to design input and validation to commercialization and transition to support. Published in Journal of Digital Imaging (June 2014), this paper looks at the implications on informatics and information management when applying lossy compression to medical images in DICOM. It also explores whether wavelet-based compression (e.g. JPEG2000) still provides the value that it once promised. A comparison of different approaches to preserve system and network resources is included. Interviewed. Published by DOTmed in Apr-2015. A post on the SIIM blog about the new standard REST-based APIs (DICOMweb, HL7 FHIR) now available for imaging and clinical information interoperability. Presented at SIIM 2014, this paper explores a method to use imaging information to discover and associate anatomy. I was a contributor. The primary author is Dr. Helen Chen. I contributed to this article published in Journal of Digital Imaging. The primary author is Brad Genereaux (@IntegratorBrad). His blog is here. The article examines the use of a REST API to discover, retrieve and use structured radiology report templates from an on-line report repository. The following eBooks are available to my clients. I also have accompanying presentation materials for use in workshops and educational seminars. What are the requirements of a VNA? 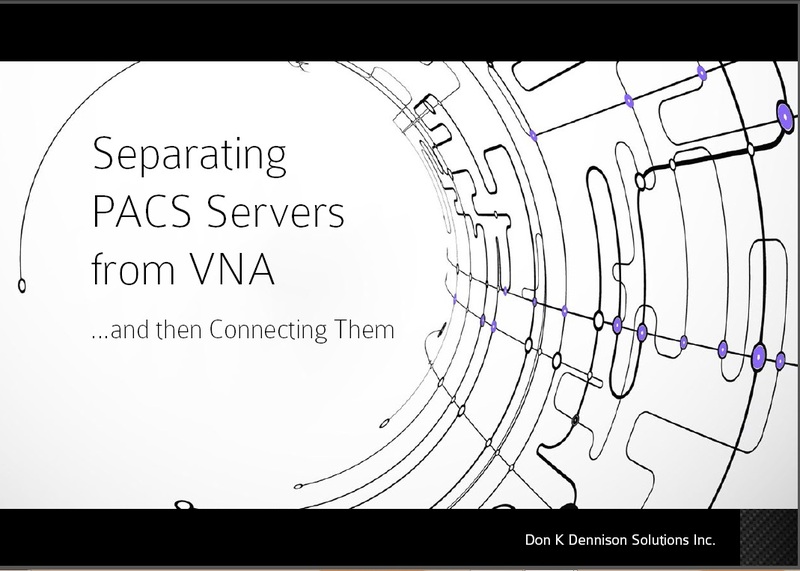 Why do PACS servers often fail to perform well as VNA?